To complement our bespoke clothing, I am able to order individual, hand-made shoes from the renowned shoemaker Saint Crispin’s. 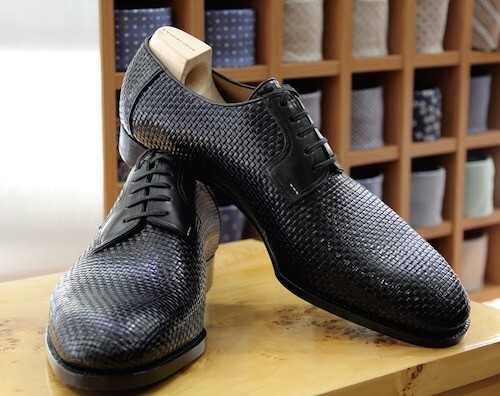 The excellent workmanship, the precise fit and the comparatively short construction time of only six weeks for shoes with hand-sewn welts make them very attractive to shoe connoisseurs all over the world. The perfectly shaped quarter around the joint and the wonderful bevelled waist give the foot particularly good support. Thanks to the ground-tanned Rendenbach leather sole, the rolling of the foot and the climate in the shoe are ideal and even after having been worn for a long time the shoe hardly develops any creases. 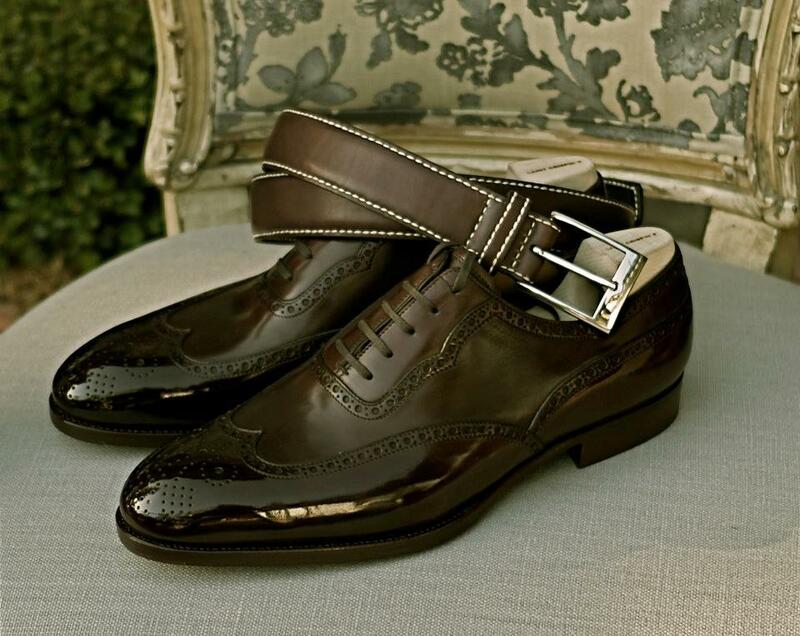 Viewed from above, even shoes with a broad last always look slim and elegant. 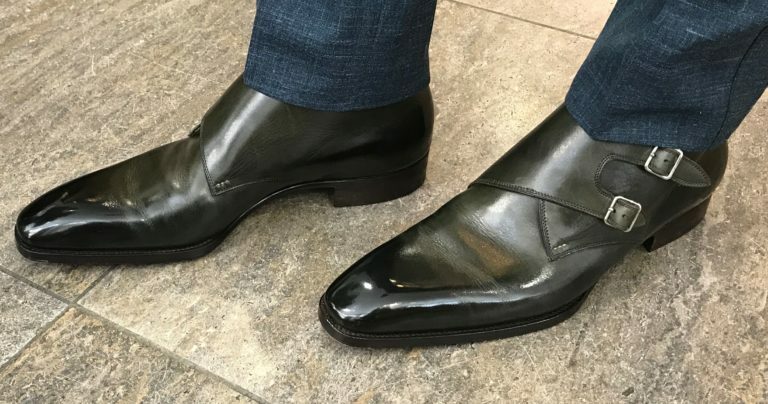 Saint Crispin’s offers an unusually large range of beautifully shaped models and exquisite types of leather in numerous colour tones which leave a great deal of scope for your own personal creativity. 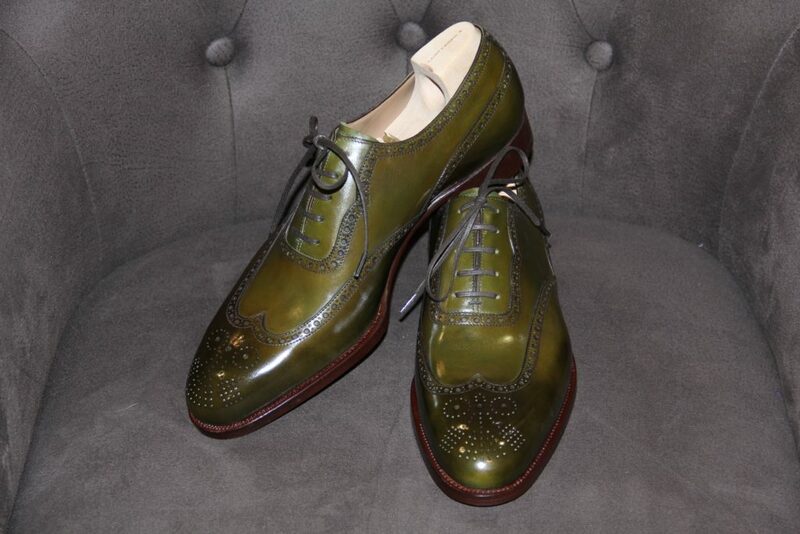 The standard of shoemaking craftsmanship meets the highest possible demands and the subtle designs harmonise perfectly with our bespoke clothing. 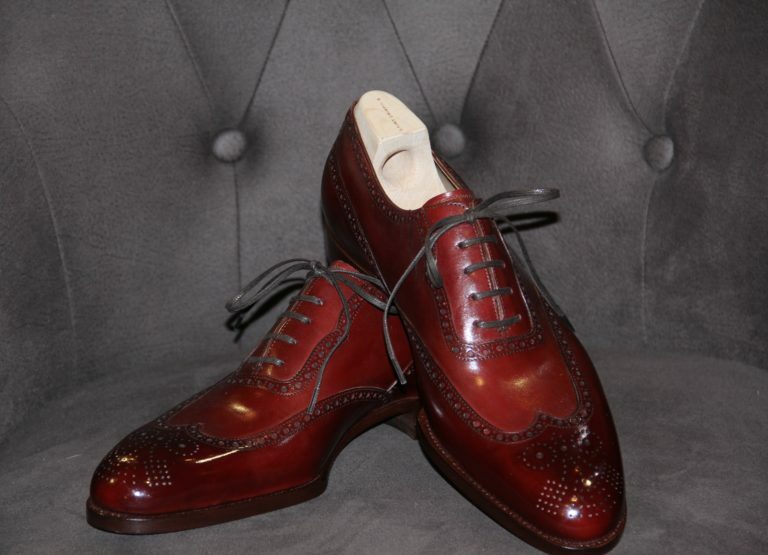 As a matter of course, with each pair of shoes ordered from Saint Crispin’s, we always supply a wooden shoe-tree, which is an exact copy of the original last, and is made of well-seasoned open-pored wood. This shoe-tree has an extremely light construction and is made out of one single piece of wood. 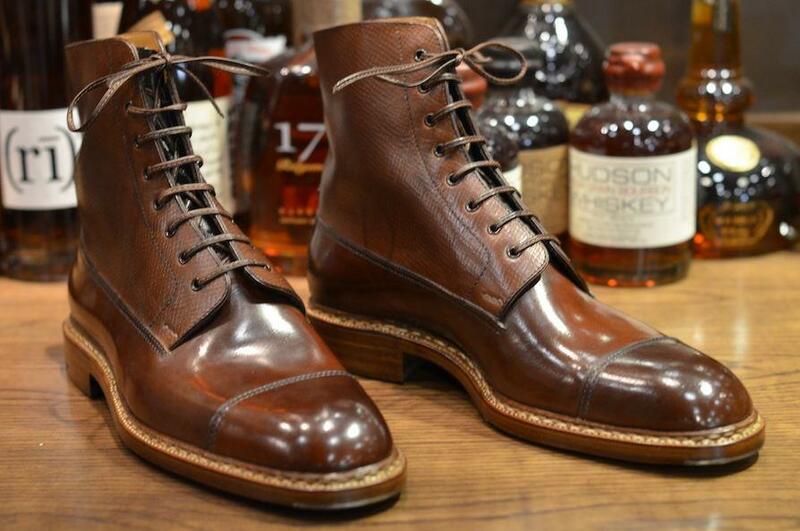 You are welcome to make an appointment without any commitment to come and try on these masterpieces of shoemaking craftsmanship – you will be impressed.